That's a really interesting and useful post. I'm nowhere near the stage of making things to sell, but it's sounds a lot less scary now, and will be something I consider in the future. That owl print is totally ace btw. Jane, How kind of you to share all your hard-earned lessons! I looked for your fabric and found it here in America. On ebay, it was for sale from Australia. Ha ha, I was just about to give you the same details, lol. I found some in the UK as well but it's £10.99 per metre. Is that a good price from fabric.com? Have you bought from them before and are you likely to get stung for customs charges? Oh, and what do you make with this magical fabric?! Uber useful post! Thank you. I've printed it out, it's that good! If you don't mind me asking, how much do you charge for your cushions? I do patchwork ones and am thinking of doing a craft fair down here on the south coast! Hi Wandafish, it's cheaper than I paid at Fabricworm, I haven't bought from there before and if I get stung for customs charges I don't care, I just want that fabric! 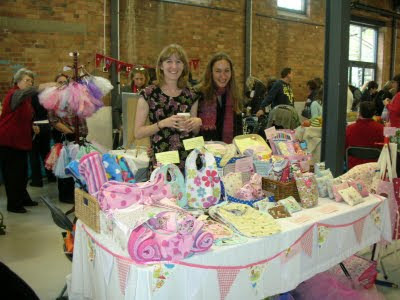 I mostly make cushions with it but I have made a few make-up bags and drawstring bags which have all sold well. Thank you for your great post. I haven't done a craft fair yet but people keep telling me to get on with it. 69p is a heck of a lot cheaper than John Lewis for a cushion insert, I think I'm owed a trip to Ikea! Wow, thanks very useful, good luck in your future fairs. Thank you so much for generously sharing these tips Jane, instead of acting within your well-earned rights to guard them. Really appreciate it! I may also try and snap up some of that owl fabric if you don't object...that's if there's any left after you placed your order ;o) It's so cool! Great post. I'm very flattered that you used my photos too. Thanks! I love that owl fabric by the way. I might have to get some too! Rocket Rascals by Michael Miller is my equivalent fabric. I always sell anything made in that fabric. Didn't realise that you could get cushions so cheaply at IKEA. What a bargain!!! Will be interested to see how other people do at fairs, I've yet to be brave and try one. Jane - thank you for the great post! Surprisingly there isn't a lot of information out there on "Tips to a Craft Fair". I've been to plenty of craft fairs but have reserved a table at a fair next week. I'm worried that I won't have enough stock but agree with your thoughts on having more of the less expensive items and less of the higher priced items. Keeping my fingers crossed that I sell something! Thank you so much for the excellent advice, Jane! I have agreed to share a stall with my sister (who does glass painting and a little sewing) so these tips will be most helpful. Now I just have to improve my sewing skills! I'll keep you posted on my craft fair. I did just mention your post in my blog - hopefully it will help out others! Would love to republish this on our website, CraftCritique.com during Crafty Business Week! Great info for our readers and increased exposure for you. Please email me if you would like more information. Thanks! Great post! Found it very useful and thanks for sharing. I do more painting than fabric crafts. And I'm really wanting to have a stall to make some money for my travels! I know theres a local Country Fair on the last saturday of every month, so I'm aiming to have one at some point this year. I just really need to get off my backside to get it going! Do you have tips on continuing the motivation before the big day?! I get easily distracted! This is a fantastic blog and answers questions I have spent quite sometime looking online for the answers for! I was wondering about health and safety regs though. How does it work with the cushions and fire safety, do you have to put a label on? Thank you. Jane, this is so weird... after meeting you on Saturday at the fair today i found your blog!! it's great! i am looking forward to reading more of it. Another owl design again! I’m starting to fall in love with owls! Kidding aside, I think I just need to be a little more creative so that I can make such beautiful handmade crafts. The more unique your items are, the more it’ll catch the eye of potential buyers. 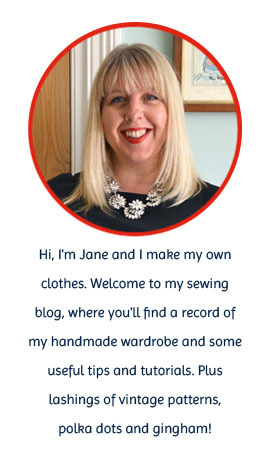 loved this article Jane - first sewing blog i found on google and read! Selling Handmade at the craft fair. Just have the confidence and start talking to your customers. As a person moving towards crafting possibly to earn some money -previously just a hobby- I find this advice so invaluable thank you! I like your Craft Fair Tips which very informative for me. Thanks for sharing. Oh I love surfing on that blue ocean. Whenever I get some for for me , I plan on going to the beaches. I also faced the same problems in one of my journey. So I had made a customized receipt Books later from the budget print plus page as they are really good at it and also charge less than others.